Andosi is the art of great system Design. Technology aside, improving workflow is one of the best things you can do for your business. Even simple changes that may only shave off mere seconds of effort can compound over time adding up to big savings. These tiny changes when coupled up with the right technology to make the process even more efficient is a huge game changer. One of the first steps in making improvements to any part of your business is to take a moment to step back and define the way your business really flows. Not the way you wish it would flow, we’ll get to that later, but the way it actually flows now—bottle necks and all! Now to how you wish things were: We line up your wish list with your current state and work our way backwards. Where are you now vs. where do you want to be and how do we get there? Our system design architects have acquired years’ worth of ‘answers’ to common problems that you may be facing, and even a few not so common problems as well. Finding the time to hash out all that your business does may seem impossible, but trust us it will make all the difference! Andosi will help you define your processes, down to the finest details and finally have everything documented the way you’ve always wanted it to. If you’re looking for specific areas of change, like to your accounts receivable department, we can help you narrow down what the problem is and come up with a better process. s there a button you really wish you had, or an order to a report that would make more sense? 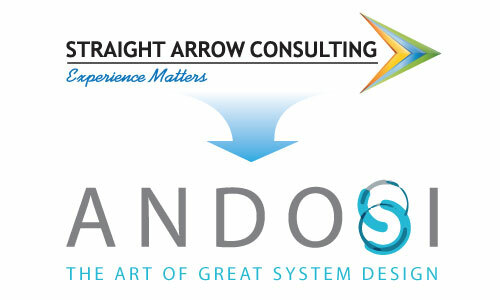 Andosi is the art of system design and all changes, big or small, add up over time to more efficient business. If it seems like every area of your business needs some help, maybe it’s time for a complete system overhaul. That’s where Andosi system design architects will take a look at the entire business and then align that picture with technology so that everything is mapped out perfectly and the two go hand in hand creating a masterpiece of efficiency!